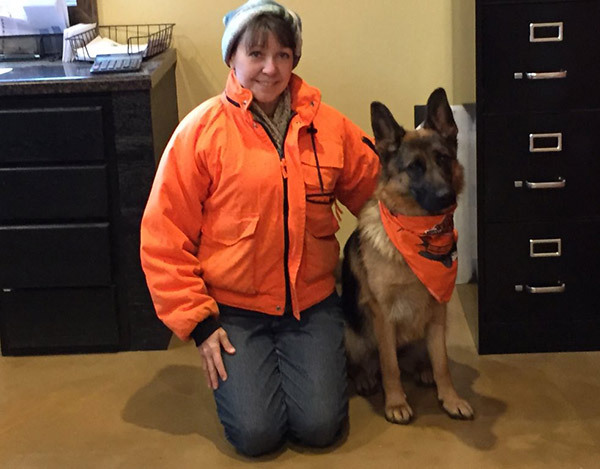 Max and Akela are Search and Rescue dogs owned by Jim and Jessica Kujala in Hayward, Wisconsin. 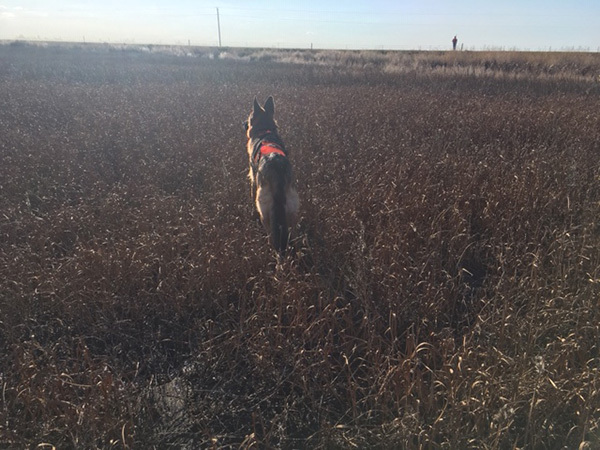 They serve on the Sawyer County Search and Rescue Team as 2 of the teams Tracking K9's. 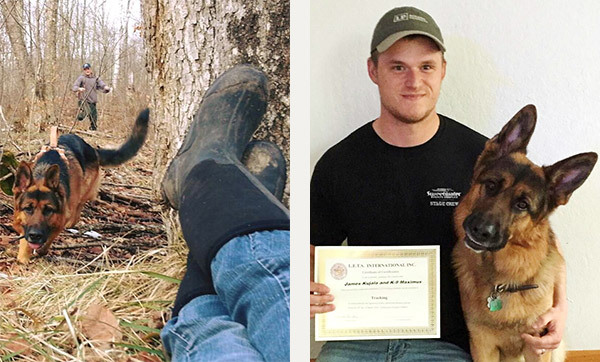 They both love their work and enjoy nothing more than dragging their handlers through the woods while in search of a missing person or while on a training sortie. Most importantly, they are both great friends, companions and members of the Kujala family. Click the image below to go to their blog! 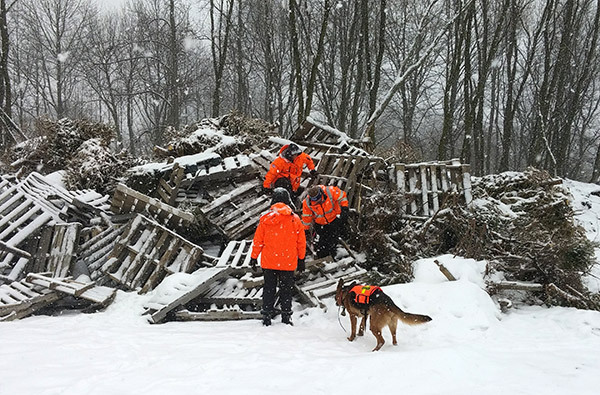 Anna on a search after finding a victim with new jersey K9 search and rescue. Anna is owned by John Acompora . A brilliant dog can be trained to do anything. Klaus, owned by Steve Mitchell. Sadie is working at the New Richmond hospital and red Cedar Canyon Alzheimers unit and has been wowing them with her tricks. She is also set to work the Ellsworth and Osceola libraries. Owned by Chuck and Lori Dove. Therapy dog, Honor. Owner: Donna Andersons. Gretchen is the special friend and companion to Natalie. Gretchen accompanies Natalie throughout her daily routines. Their unconditional love for each other make this bond so special. 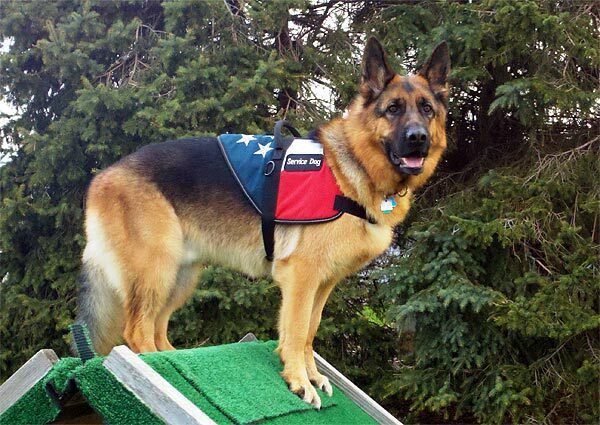 MAHTOMEDI, Minn. - Kaiser is not your typical 9-year-old German Shepherd. 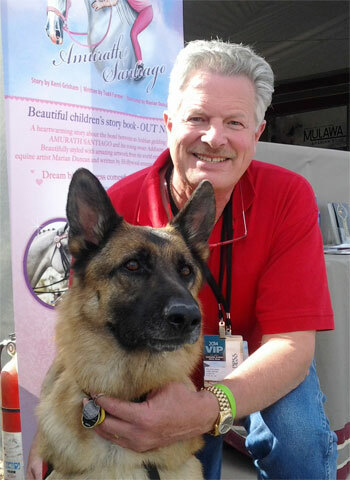 After his owner, Vince Deschene, retired, he trained Kaiser to become a therapy dog. "When he was a puppy we noticed there was something very unique about his temperament," Deschene said. "He was extra friendly, he loved people, was good with kids." For the past seven year, Kaiser has been touching lives at hospital and clinics around the Twin Cities. 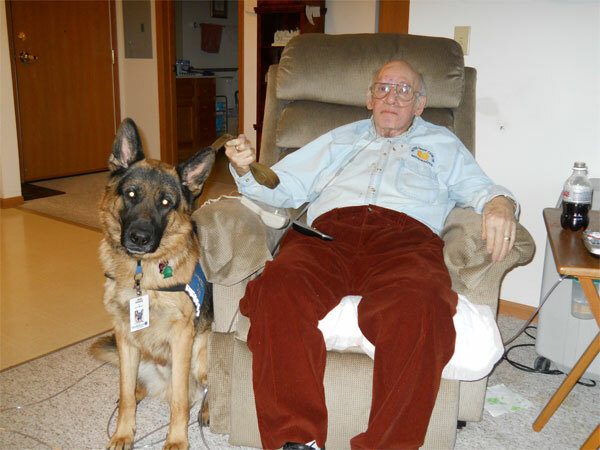 Deschene said his German Shepherd has a way with patients -- something medicine can't do. 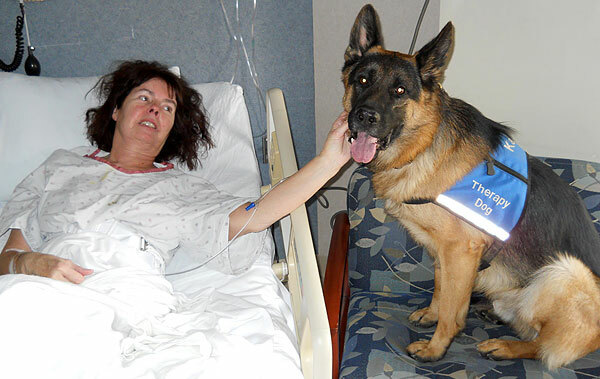 "W when a 105-pound German Shepherd came in, everything changed," Deschene said. "And within two or three minutes the patient was smiling. 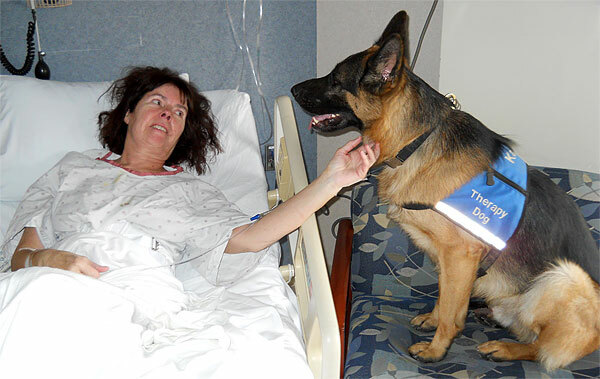 I've seen blood pressure lowered actually on a machine when a dog comes in and then they start petting the dog." 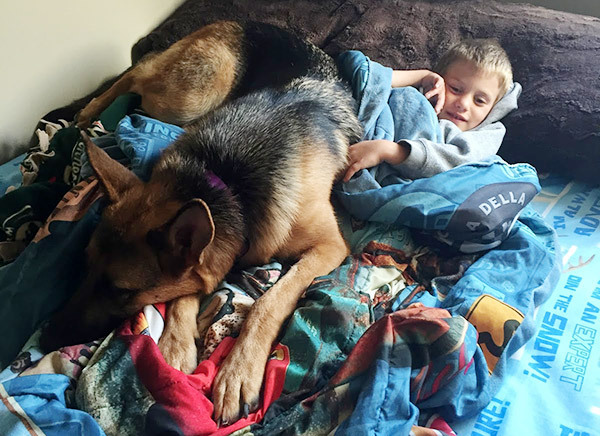 With each hug or pat on the head, Kaiser also creates a special bond with those he meets. "Ii've seen people that could hardly talk and than six, seven months later I see them walking down the hall calling not for me, they're calling for Kaiser," Deschene. But about a year ago, Kaiser needed medical help of his own. Deschene noticed he was limping out of patient rooms, due to a torn ligament in the back of his left knee. Kaiser takes anti-inflammatory pain killers, but can't walk like he used to. While the medicine helps, Kaiser need surgery and extensive rehab. Surgery alone costs $3,000 -- something Deschene can't pay for on his own. 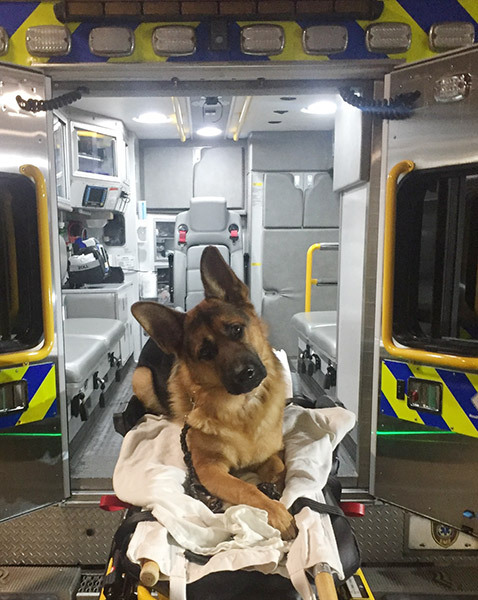 He's hoping someone can help his dog, because without it, Kaiser won't be able to help more people. "I don't know what there gonna do at these hospitals and places we go," Deschene said. "He'll probably still be at home, but if I had to roll up the carpet and not go anymore -- it's gonna be a sad day. I mean, everybody's gonna miss him." Kaiser out lived every other dog that he started with at every hospital that we visit regularly. He was known for his endurance and desire to please. Many times when we visited with other dogs and they had become stessed out, Kaiser would get up right away at the chance to keep visiting. I can't forget the time this was most prominent. Unknown to anyone, he had a ruptured spleen and it only had 1" of skin keeping it attached to his system. He was still getting up in chairs at Bethesda so people could rub his chest. Many people over the years have commented on how Kaiser helped them overcome their fears of large dogs especially Germans as he was so unique and would push right up to someone to get petted. "look, here's another person to come and pet me". Who could forget the 10yr. old girl who walked Kaiser to the operating room to get her broken arm fixed. Or the family that just had a stillborn baby and when the 100# German Shepherd walked into the room and put his chin on the woman's leg, in minutes they went from tears to taking pictures with their cell phones. 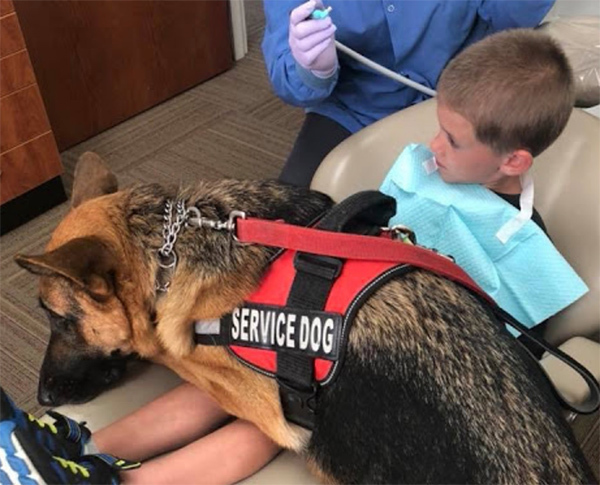 And the people on hospice who smiled on their beds as Kaiser put his chin on the mattress for them to pet him. 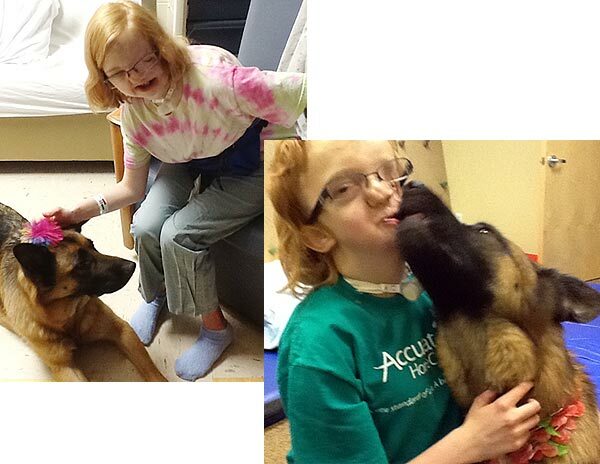 And the patients who had their pictures with Kaiser on the hospital room bulletin boards. 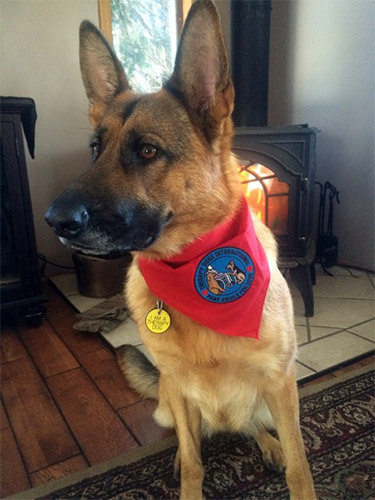 Kaiser started the Therapy Dog Reading program at the Odessey Charter School. Also in closing, for those of you who get this email and are not Pet Therapists, let me briefly try to explain why we take the passing of our dogs so hard. Let's take the best, most lovable family pet dog that you ever had. Maybe you went camping with them and they slept in the tent with you. Maybe you could even sense that they would risk their life to try and protect you if a bear came into camp. Maybe they slept on your child's bed when they were very sick or brought a smile on someone's face who was depressed one time. Now, literally multiply that by hundreds of situations over a period of many years. It's even completely unique from Assistance Dogs or Police Dogs. If you can picture and feel that I little, you can begin to see why Therapy Dogs are so beloved and missed when they must pass on. three Arabian horses and an old retired couple. 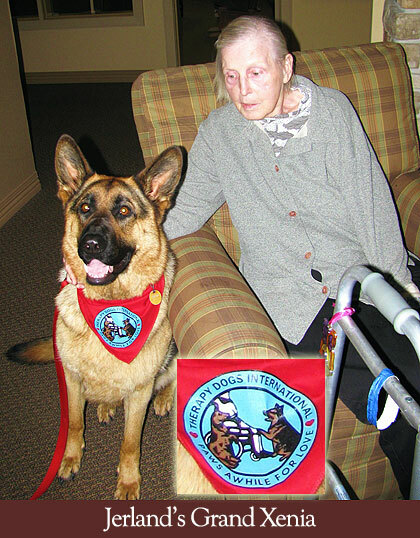 When Xenia was one year old she attended a therapy dog class at Total Recall. 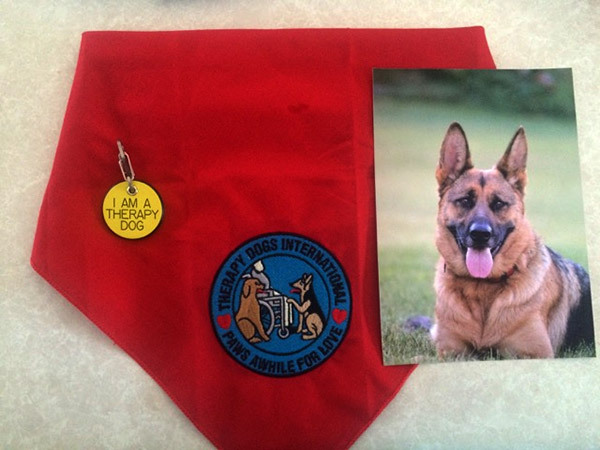 She passed the therapy dog test with flying colors and became certified with TDI. Xenia visits nursing homes ,frequently. She is very much adored by all the residents. Xenia has learned many tricks to entertain the residents. Their favorite trick is saying her prayers. In the future , Xenia is going to expand her horizons by visiting schools and hospitals. 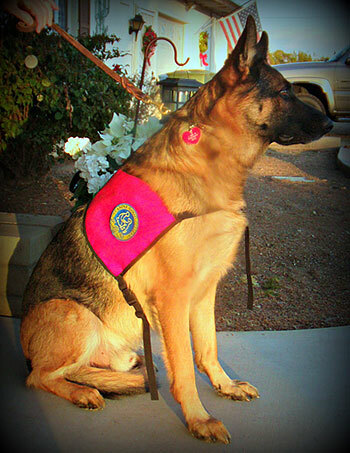 Service dog, Sequoyah , in service to owner Cheryl Martin. 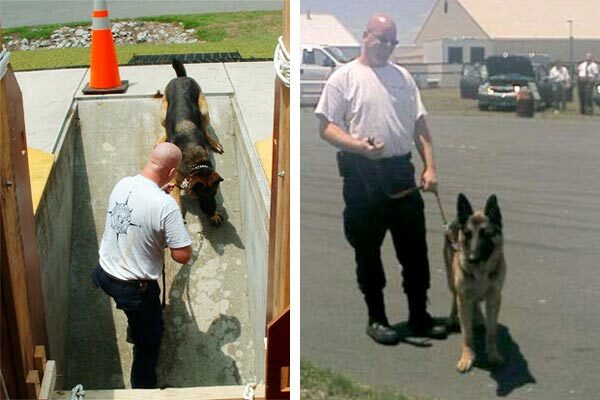 "Augie was one of the most dedicated, loyal and hardest working k-9’s I’ve ever worked with. I’m counting the days until I can get another puppy from Jerland Kennels." 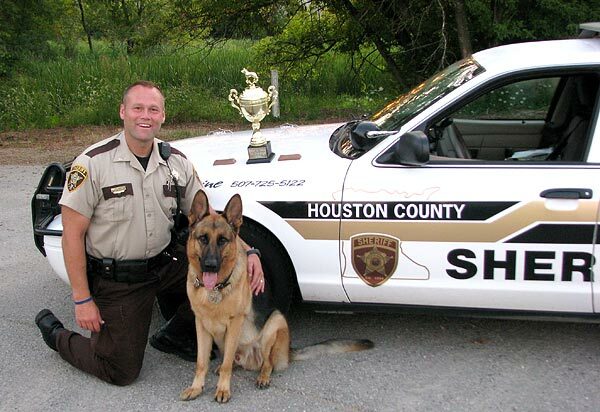 The Houston County Sheriff’s Office is pleased to announce that Lt. Tracie Erickson and K-9 partner Virgil took 1st Place Overall during the United States Police Canine Association Region 21, Regional Dog Trials, held August 25-27, 2008. 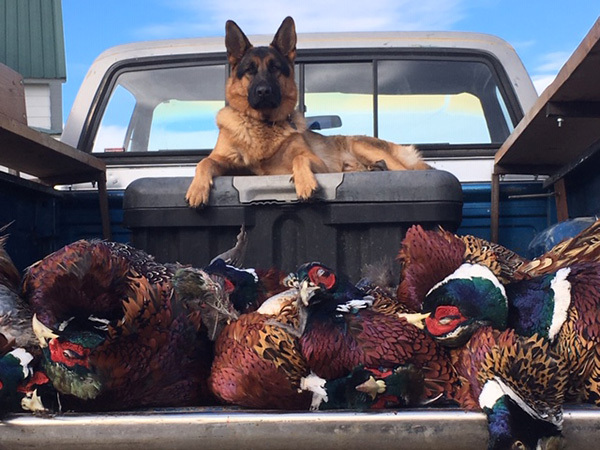 Our canine team also took first place in the Head to Head and Team Competitions. 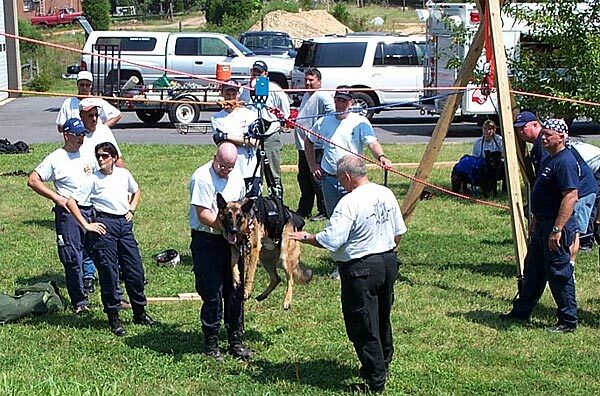 There were over 40 K-9 teams participating. Lt. Erickson and Virgil placed first in most all portions of the trials. Their overall score was 690.5 out of 700 possible points. The next place team was 10 points behind. 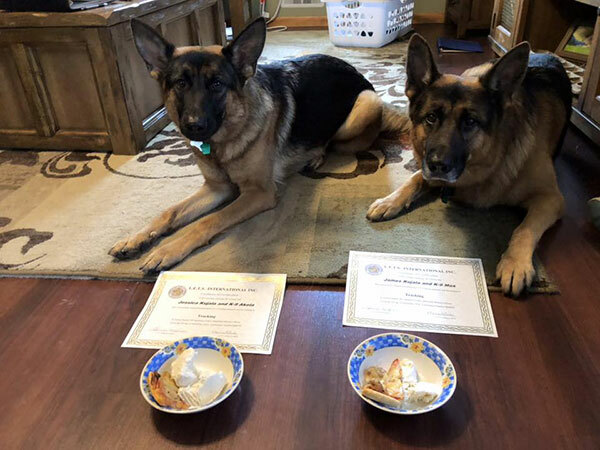 For perspective, a K-9 team must have over 490 point to be certified and over 590 points to qualify for the National Dog Trials. Sheriff Ely states “Lt. Erickson if very dedicated to the K-9 program. 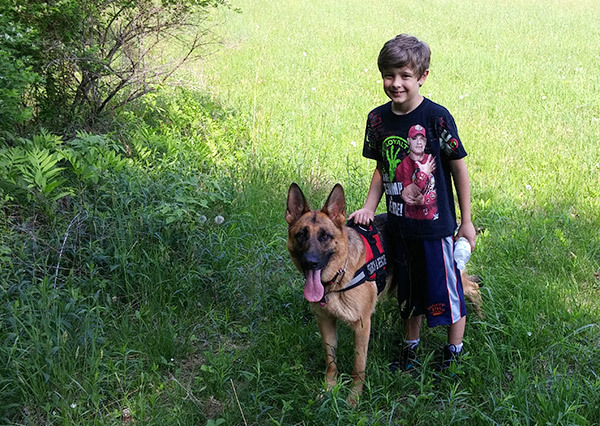 His 1st Place finish is a direct result of the dedication and attention to detail that he places in the K-9 program. All residents of Houston County should be proud of his efforts”. The Houston County K-9 program is run at no cost to the citizens of Houston County and is supported through generous donations. 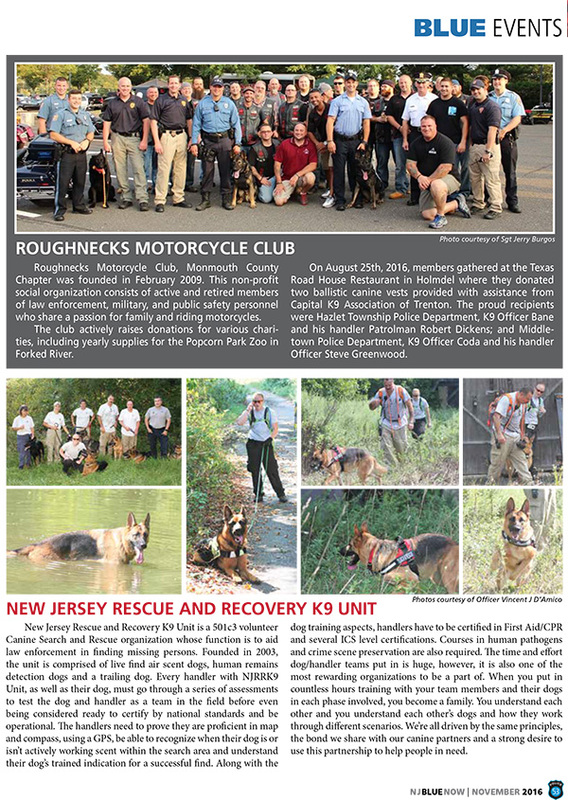 The K-9 team is a great asset to have available and has proven time and again its value. and is sired by Xillo Vom Kreuzbaum, SchH3 KKl1a, out of Jerland's Sheba. K-9 partner Sierra after a great 9 years of Service. 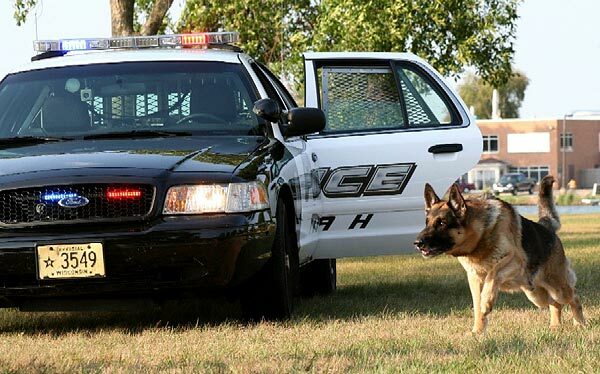 The Tomah Police Department Canine Unit is a partnership between Sgt. Chris Weaver and his partner, K-9 Sierra. Sgt. Weaver has been with the Department since December 1997 and raised Sierra from a puppy. 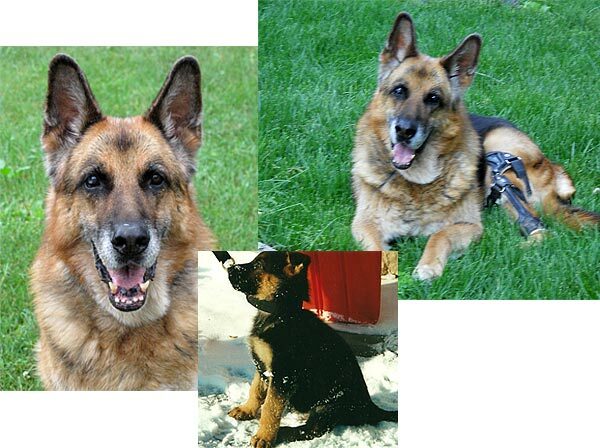 K-9 Sierra is a male black and tan color German Sheppard dog and joined the Department in June of 2000. Sgt. 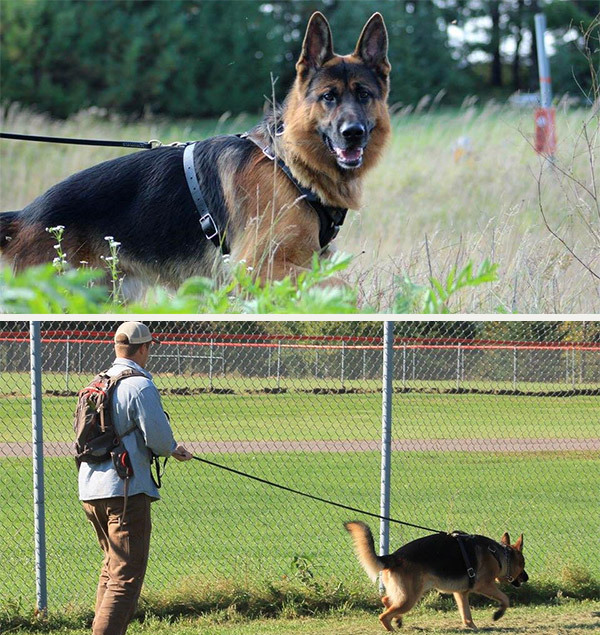 Weaver and K-9 Sierra completed Basic Patrol Dog School at the Ramsey County, MN Sheriff's Office Regional K-9 Training Center in St. Paul, MN. Sgt. Weaver and K-9 Sierra attended training together for 12 weeks. By investing this amount of time Sgt. 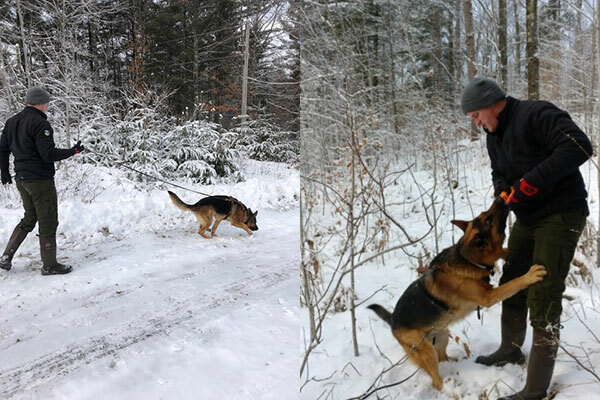 Weaver was able to gain the necessary skills to provide on going training, testing and evaluation of the Canine Unit. Sgt. 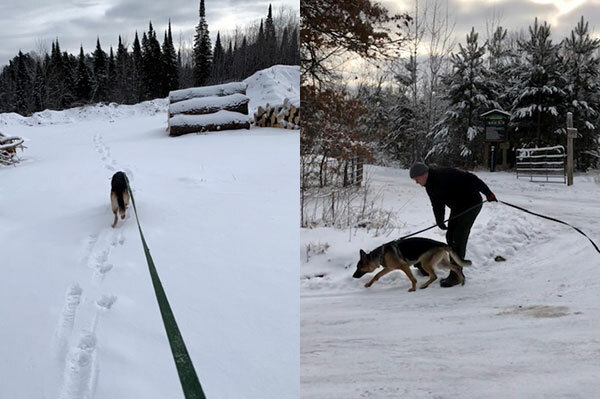 Weaver and K-9 Sierra not only work their scheduled shift (10 PM - 8 AM), but are also on-call to assist the members of the Police Department with a wide variety of tasks. K-9 Sierra is a dual-purpose patrol dog. While the term "dual-purpose" implies two jobs, it is somewhat deceiving. First, K-9 Sierra is trained as a patrol dog, which involves handler protection, criminal apprehension, tracking, building search, area search, and evidence recovery search. Secondly, K-9 Sierra is trained as a drug detector dog and he is trained to detect marijuana, cocaine/crack, methamphetamine, heroin and ecstasy. In addition to these trained jobs K-9 Sierra serves as a community relations ambassador for the Department. Sgt. Weaver and K-9 Sierra attend many community events, conduct demonstrations, walk in parades and many other activities. 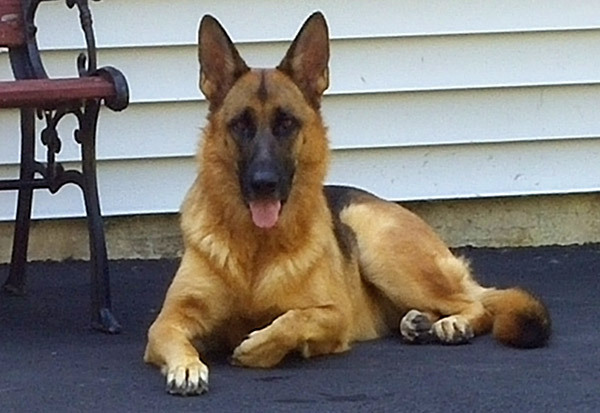 We have a 4 year old male German Shephard who is unneutered. He is the gentlest dog. He weighs about 100 lbs. Whenever he meets other dogs he always wags his tail, and if he can get near them, covers them with licks. He has made friends with a variety of other dogs in our neighborhood. I think the most important thing in getting a German Shephard is where you get the dog. We bought ours from a breeder in Wis. who breeds for intelligence, temperament, and appearance. You may pay a little more, but what value can you put on peace of mind? Our dog's brother is owned by a woman who was out jogging one day. When she got home the dog greeted her at the door but growled when she tried to enter her house. He did the same thing at the back door. When this had gone on for a while, she finally called the police. When the animal control officer arrived, he said, "This dog is trying to tell you something." The policeman entered the home and the dog shot upstairs. There, hiding in a closet, was an intruder. The dog had been protecting her from an assailant. A quality dog is worth every penny. Our breeder has a website. See www.jerland.com. Hello, my name is Meagan Hairston. My family has bought many of your dogs including our favorite Jerland's Fritz.He got killed saving my baby cousin from a rattle snake. He killed the snake but it killed him. I thank you for supplying us with such wonderful creatures. Just wanted to let you know about our dog Heidi, that we purchased from you in Dec of 1997, she was my Christmas gift from my husband. You know us well as we have had 3 of your dogs and have been so happy with each one. Heidi has been the family dog and has been so good with our 3 children. Wherever Heidi was the boys are, never had problems finding the kids. But I have to tell you story about her. My second son Sebastian has has some trouble learning to read and is being tested for a learning disability. We read daily at home and Seb tries so very hard, progress is coming but slow. He would become so frustrated as would I, it was a chore every night as his brothers were all done with their homework and there sat poor Seb with his early reader. I read an article of children having difficutly with reading who read to dogs and the success they had, but the writer of the article noted that one has to have a certain type of dog that is patient and willing to sit as the child reads. I realized that we own this special type of dog and she is my Heidi as she was always so patient. We have taken her to school on other occasions for show and tell and other things but I never had a child read to her before. Now this is the routine. Seb lies next to Heidi and reads her stories daily. She lays patiently and doesn't correct his mistakes which builds his confidence and he loves it. It makes his reading a lot more fun and then he is willing to read to his mom, who has to correct his mistakes, but then he goes back to Heidi reads the story again and corrects his mistakes. He is making progress in school and reading doesn't hurt so much anymore. Much more pleasant homework experience at the Volm home. I spoke with the special education teacher at the school and we will be setting dates to bring in Heidi to the classroom for other children to benefit from "Reading to Heidi". How I love this dog!!!! Thankyou, Merry Christmas to you and the family.